I was unpacking my books and putting them on the shelf when I saw a book on the top shelf that I did not bring or put there. So I tried to get this old book down but it did not come off of the shelf. All it did was fling forward, the shelf flew up and there was a tunnel! I got my coat out of a box and I got the flashlight from the living room and went in to see where it led. It led to the pyramids of Egypt and I saw King Tut’s tomb. I went to search for other things, like other tombs and jewelry. I accidentally stepped on a tile that led to King Tut’s kingdom. It was old, dusty and ancient. I went back to my room by climbing stairs to get back where the tunnel was and went back through the tunnel. Then I went to my mom and dad and told them I had a tunnel to Egypt’s pyramids. They told me they knew nothing about it, but they came back to my room and explored with me. We found lots and lots of jewelry and 1,000,000,000 blocks of gold. We looked at King Tut’s tomb and opened it but only ashes came out because his bones already decayed. We look in all the rooms in King Tut’s kingdom. Then we found hieroglyphs and my mom said she studied hieroglyphs when she was in middle school. We went up the stairs and through the tunnel and we went to my room. We all said it was a great adventure and we were going in there again. This entry was posted in 2012/13 School Year, Mrs. Dominick's Class. Bookmark the permalink. I liked how you and your Mom and Dad found 1,000,000,000 blocks of gold. Was the gold real? Next time call me because I sure want to go to King Tut’s kingdom. 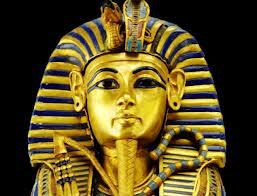 I like learining king tut was it very ancient?